Enjoy some winter sun with us! 3 nights bed and breakfast twin sharing. The five-star Hotel Camiral will make the most of every moment of your stay. Guests can spend time on the activities they love and discover new things. At Hotel Camiral every space has been carefully considered, every service thoughtfully planned offering an unforgettable experience. 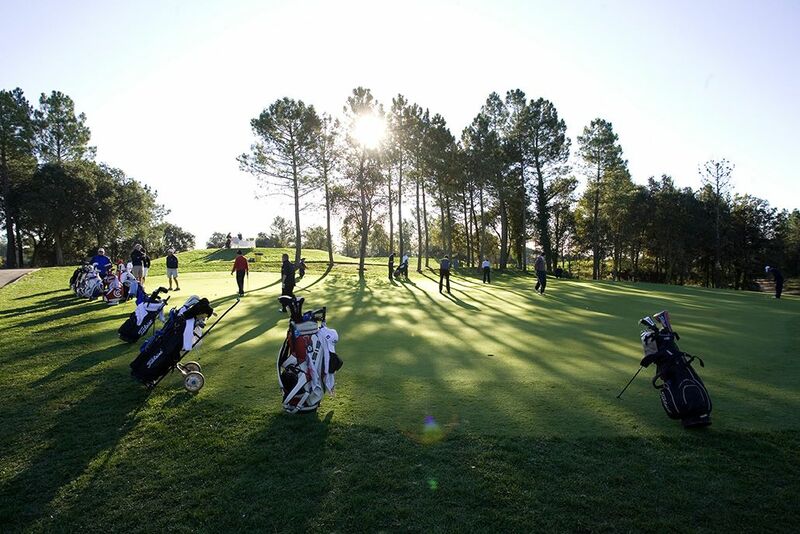 At the PGA Catalunya Resort you can be as active or relaxed as you want. In the Hotel Camiral, you are perfectly located to enjoy all the destination has to offer and to make the most of this breathtaking region. Bathrooms are spacious, contemporary in style and finished with oak flooring, floral Spanish hand painted tile, gilt edged mirrors and pristine white sanitary ware. All rooms have a full size soaking tub, oversized rain shower and the thick cotton Spanish woven toweling and robing certainly won´t disappoint. 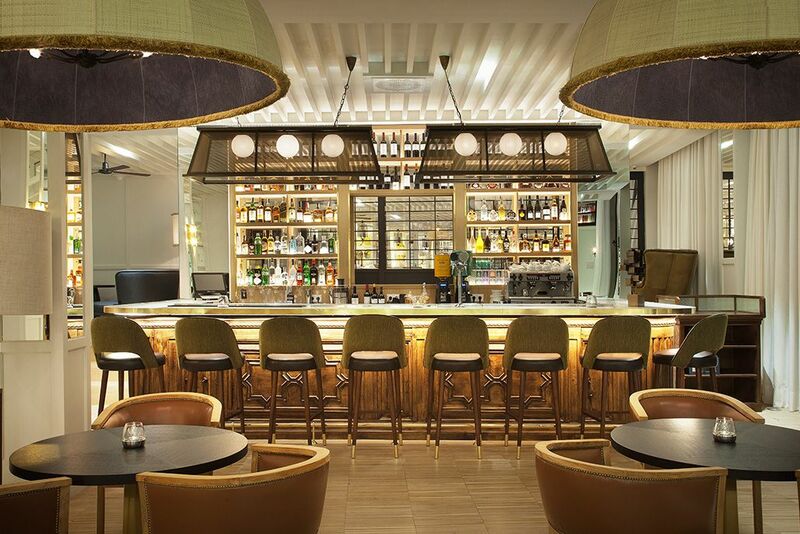 Showcasing the very best artisan food producers, offering European Cuisine with distinctly Catalan influences, the “1477” Dining Room promises to make your evening that little bit more special. Choose to dine al fresco on the patio in summer, amidst the heady evening scent of Jasmine, or the cosy ambience of the inside dining space. 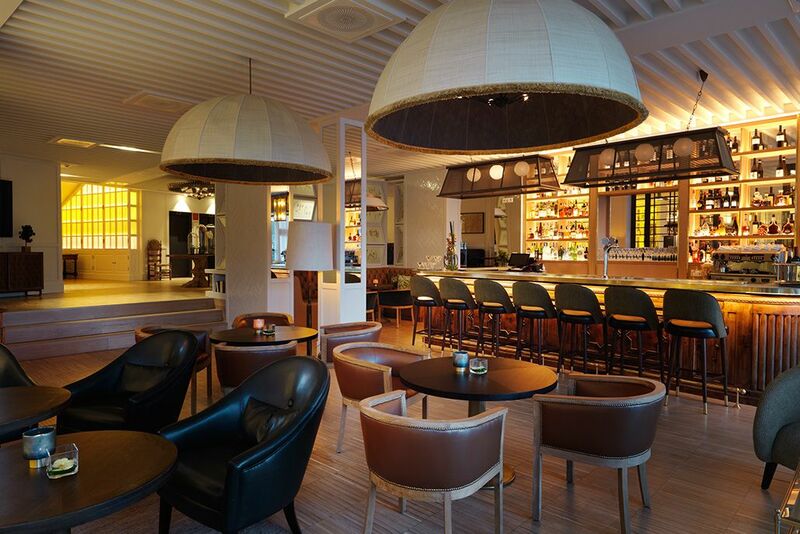 Relaxed and informal, the bar lounge captures the passion and personality of the destination and is perfect for an impromptu get together all year round. The menu offers the right balance between a range of local dishes, all made with market ingredients of the very highest quality and an international offer that provides a choice of lighter dining options alongside classic bar favourites and fresh seafood, all of course complemented by a unique selection of local and world wines. With its magnificent views of the Stadium course and with the backdrop of the Catalan Pyrenees, The Clubhouse is a buzzing hive of activity. A real focal point for guests, it has a natural easiness that will make you feel right at home. Open from breakfast right through to evening, The Clubhouse is the perfect pit-stop after an early start on the golf course and the only place to be for that vital post-game analysis over chilled beer and nibbles. 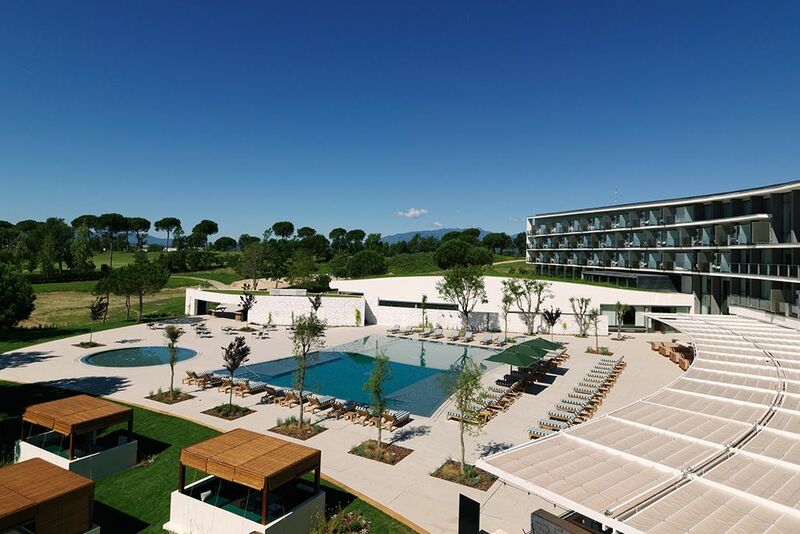 The PGA Catalunya Resort features a modern, stylish clubhouse and outstanding practice and coaching facilities. There are two exceptional golf courses at PGA Catalunya Resort; The Stadium Course, ranked the No.1 course in Spain, No.3 in Continental Europe and named among the World’s Top 100, and the Tour Course, which provides constant challenges and spectacular holes to delight players of all levels. Offering much more beyond golf, visitors can enjoy a competitive game of tennis or paddle on one of our four courts. 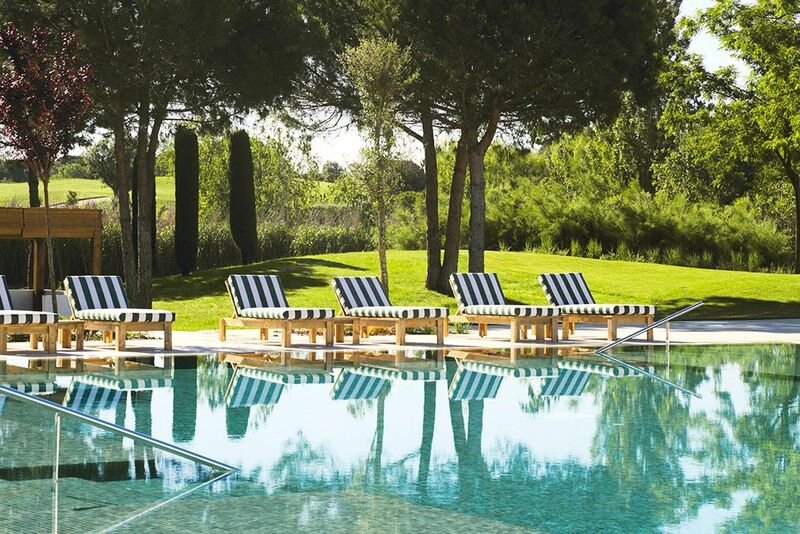 Get into the swing of things on PGA Catalunya Resort’s two lighted tennis courts and two paddle courts. This beautiful and intimate space comprises a superb indoor hydrotherapy pool, plus a sauna and steam room. It’s the perfect place to relax, unwind and re-energise, whilst stimulating all the senses from top to toe. Treatments include mud or seaweed body wraps, massage, and a range of facials. The Fitness Centre at Hotel Camiral provides residents and guests with the latest state of the art exercise machines, interactive training programs and motivational activities. 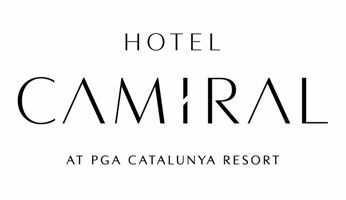 PGA Catalunya is located 80 kms north of Barcelona City Centre and a 60 mins drive from El Prat International Airport. The Girona-Costa Brava Airport is located just 7.5 km from PGA Catalunya.